Alun is a MBTI® Certified Practitioner. MBTI® is the most widely used personality assessment. The MBTI® framework helps people understand themselves and others around them. This enables them to improve their working and personal relationships in a constructive and positive way. It looks at how a person perceives the world about them and how they prefer to interact with others. So what is the framework? The framework is supported with a questionnaire (either paper or on-line), various reports and pamphlets to help people understand “types” and gain maximum benefit. OK, I get a 4 letter code, so what? 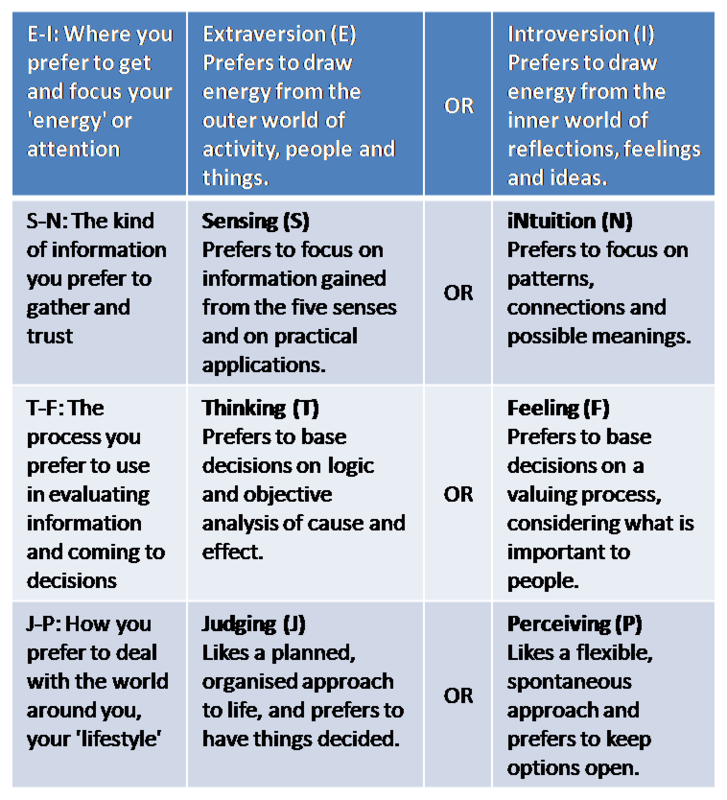 Understanding your preferences based on your MBTI “type” and also understanding the differences between the different “types” can be used to develop your relationships with others. The MBTI framework acknowledges that individuals are more than just the sum of their preferences. It also provides a way of understanding the dynamic interactions between the different parts of psychological type, in particular as a person matures throughout their life and when they are under stress. What can you use the MBTI for?